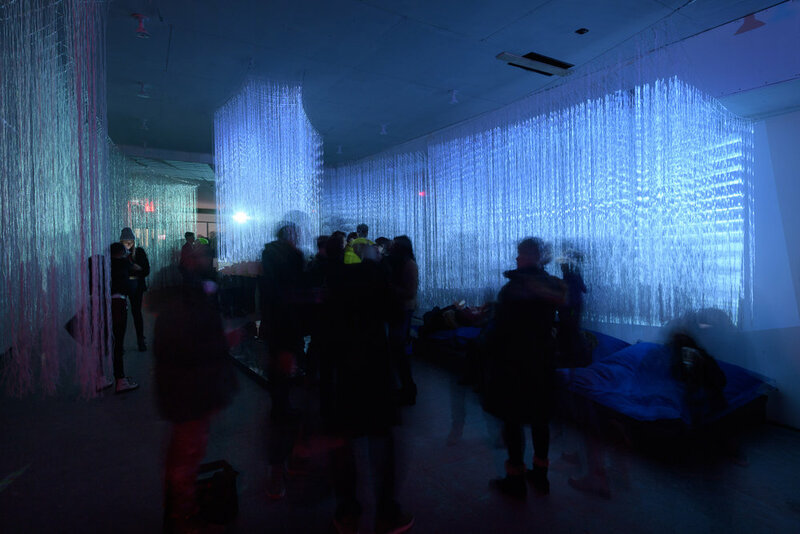 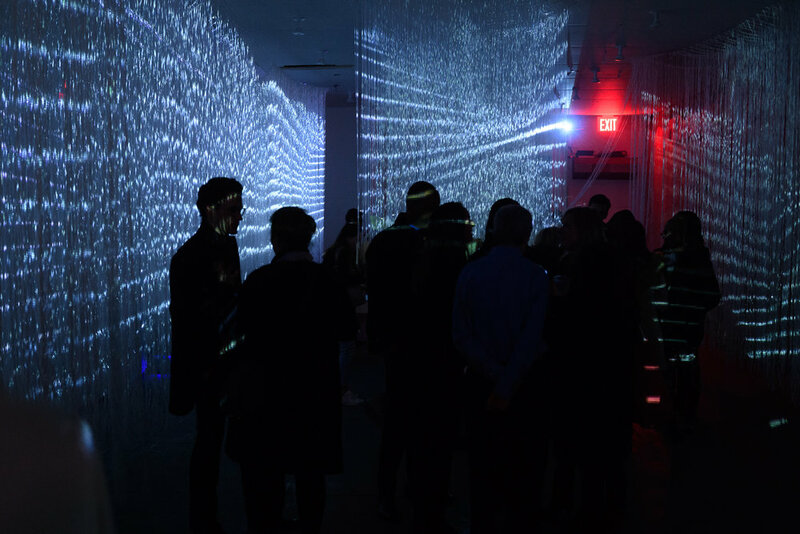 This experience was a collaborative exhibition between studioSPACEnyc & Ann Lewis presented by Killer Impact. 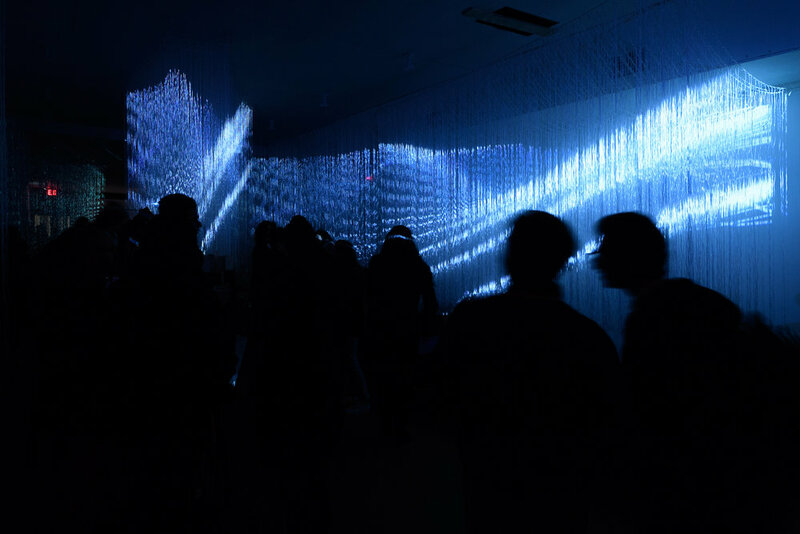 The exhibition was curated by Killer Impacts Director of Visual Art, Zahra Sherzad. 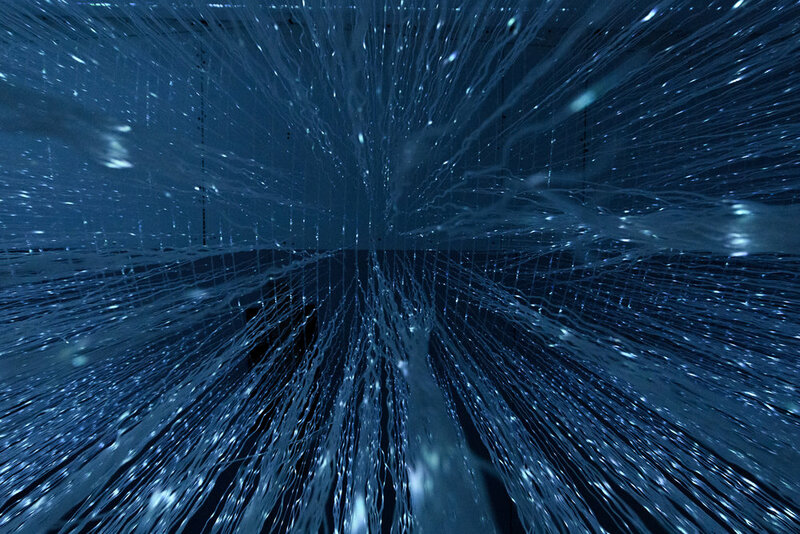 Inspired by the forthcoming Killer Impact TV series ”Kill Me”. 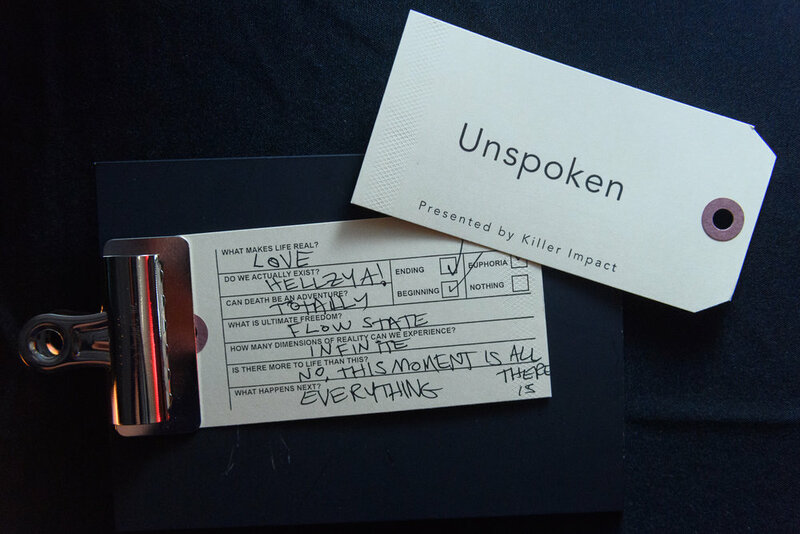 Unspoken was an interactive experience reflecting on the fragility of human morality. 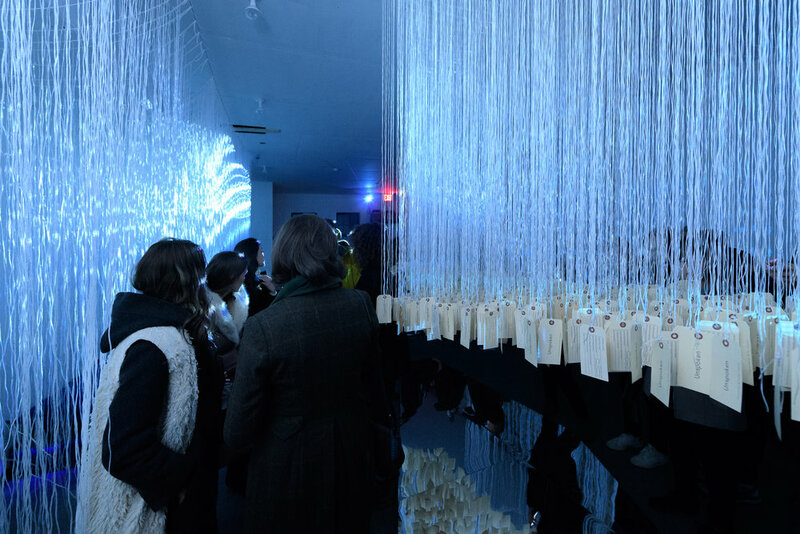 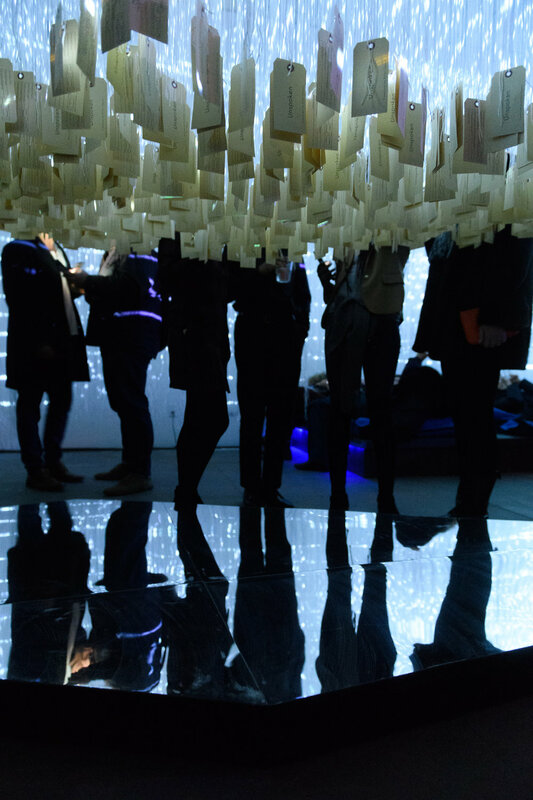 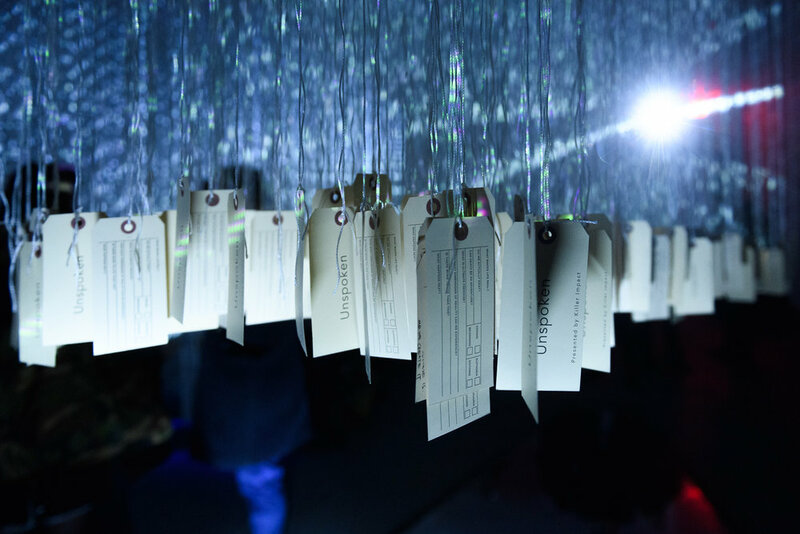 Through the use of modified toe tags and 115,000 feet of reflective string, the viewer was encouraged to consider the expansiveness of our transition to the next world through personal reflection on the tags. 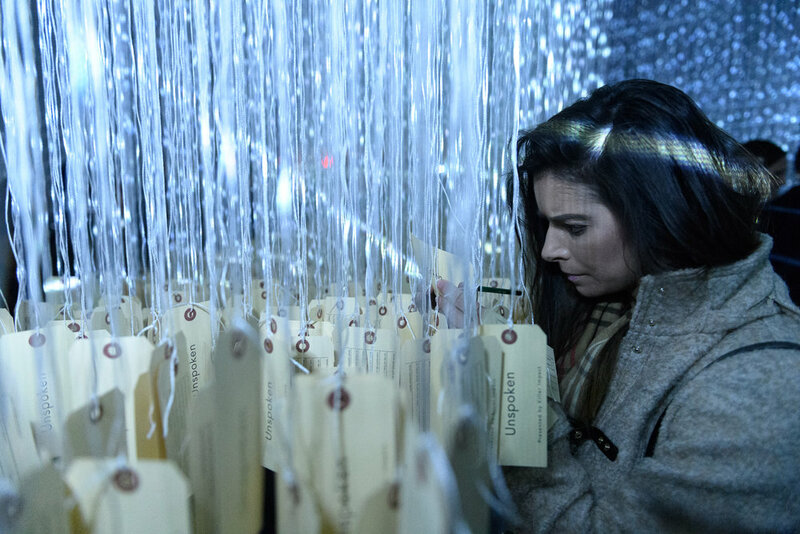 A toe tag is typically used to identify cadavers in a mortuary, in this installation however the viewer was invited to respond to questions posed on them, which will be hung on one of the thousands of strings. 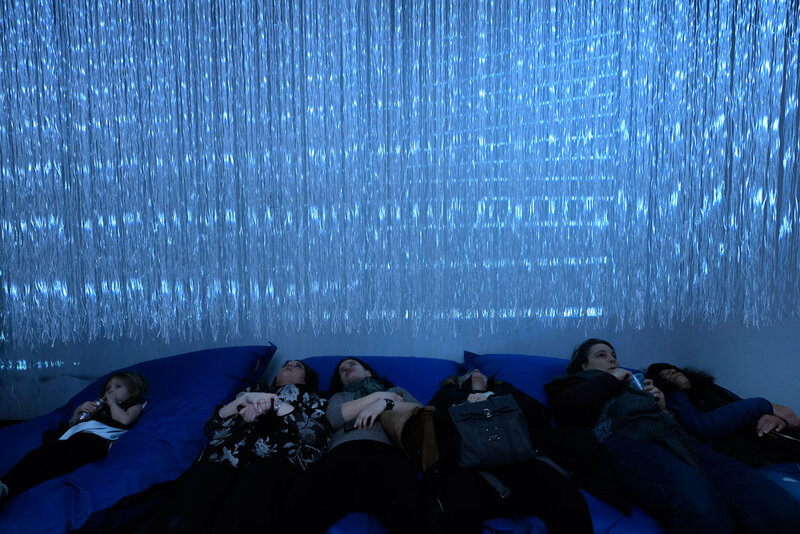 This immersive experience gave the viewers an all encompassing opportunity to explore and deepen their own appreciation of transitioning from this world beyond our realm of understanding.